After an extra long summer (which I love and Jord would hate), I think fall has officially come to Denver. Case in point- I wore leggings and boots yesterday. And my nails are painted ‘berry’ (ok, I looked and it’s called Suzy Loves Sydney, but that doesn’t give you much of a visual now does it). 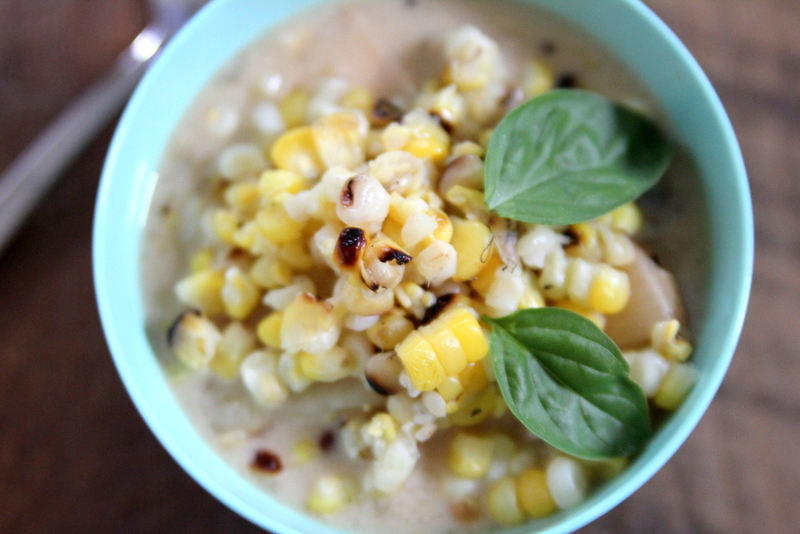 This grilled corn chowder is the perfect summer-to-fall dinner, using up a bunch of garden-y produce, but still extra cozy. Plus, Burke asked if I can put it on his list of favorite foods (which I totally wish I had!). Lime and basil for garnish. Grill corn and green chiles. 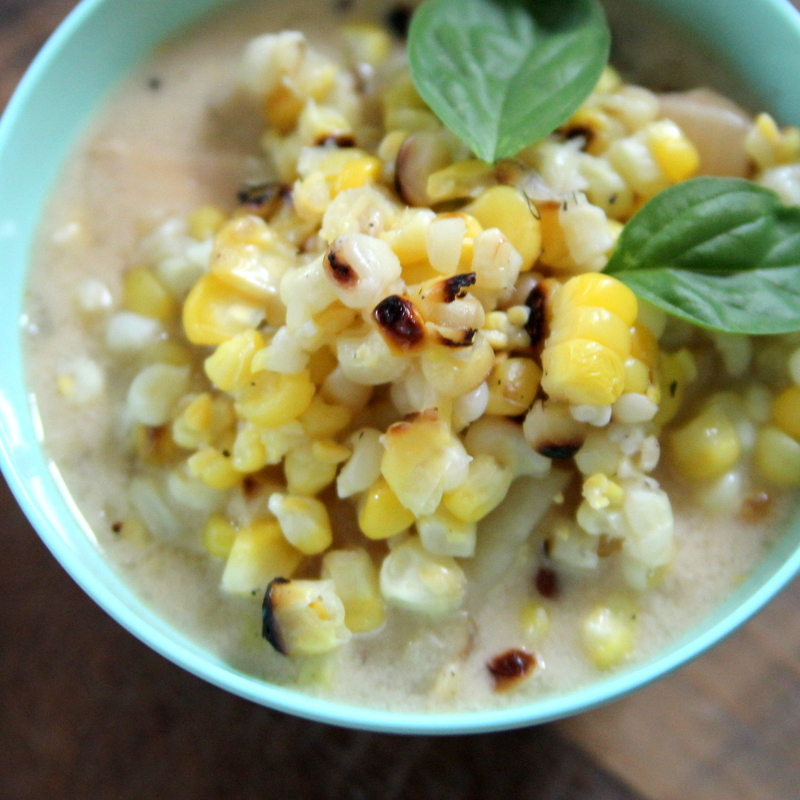 Cut corn from cobs, remove seeds and skin from green chiles. Chop. Heat oil in large sauce pan. Cook onion and garlic until tender (5 minutes-ish). 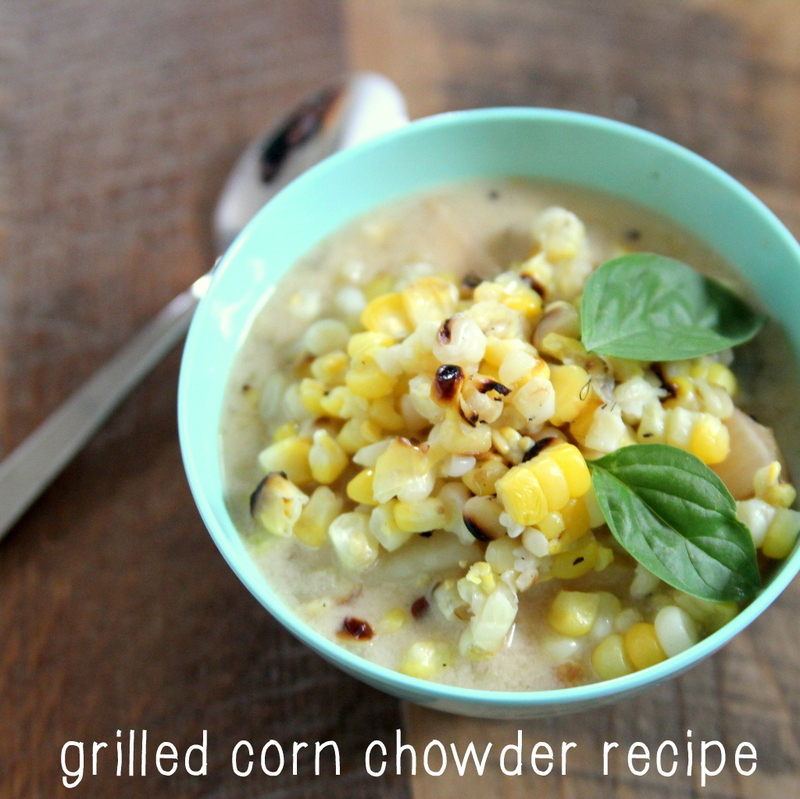 Stir in 4 cups of corn, the chicken broth and the potato. Bring to a boil, reduce heat and simmer (covered) 10-15 minutes, stirring occasionally. Combine salt, flour and pepper in a bowl. Stir in milk until smooth. Stir flour mixture into chicken broth mixture gradually. Puree part of soup in food processor or with an immersion blender (optional). Add in chicken. Top with remaining corn and pepper before serving. Garnish with basil and a squeeze of lime juice.